President Trump is officially wheels up for Vietnam ahead of his second historic summit with North Korean dictator Kim Jong Un on Wednesday. "We’re speaking and we’re speaking loud, and I think we could have a very good summit. I think we’ll have a very tremendous summit. We want denuclearization, and I think he’ll have a country that will set a lot of records for speed in terms of an economy,” Trump said from the White House Monday before leaving for Air Force One. 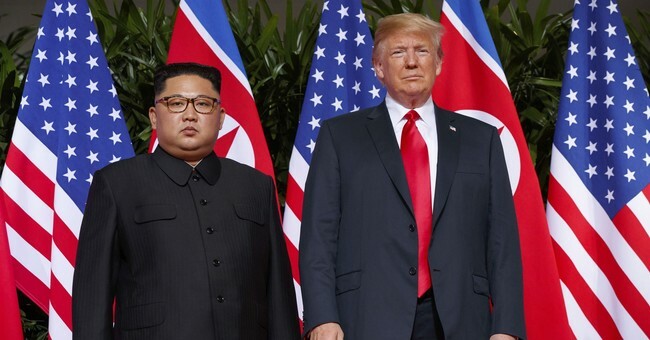 According to a senior White House official, President Trump will use the second summit with Chairman Kim to further incentivize him to denuclearize with economic prosperity. “The President is doing everything necessary to be well prepared for this summit and also has fully engaged his team, both in the White House and in the Department of State, to be part of this process,” the official said during a background briefing with reporters last week. President Trump reiterated this message over the weekend.